Bartonville is a rural city located close enough to the Dallas-Fort Worth Metroplex to enjoy all the amenities, while enjoying the small-town country feel. Bartonville is a great community to live and work for those looking to get away from the hustle of the city and enjoy the country. With its strategic location, low tax rate, excellent school systems and easy access to DFW, we have existing buildings and facilities ready for your business as well as land for development. Bartonville is located primarily in southern Denton County, approximately 30 miles northwest of downtown Dallas, 30 miles northeast of Fort Worth, and 14 miles north of the Dallas / Fort Worth (DFW) International Airport. 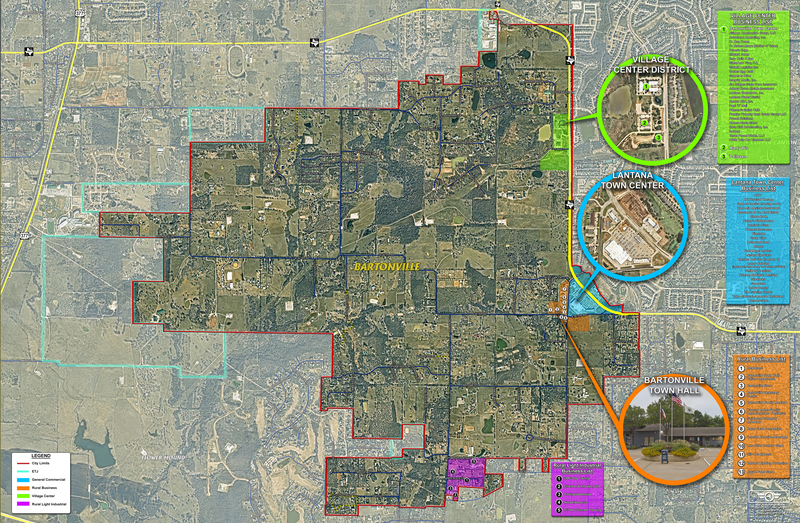 The Bartonville Community Development Corporation is dedicated to actively helping your business succeed by helping you connect with our community and all of North Texas. 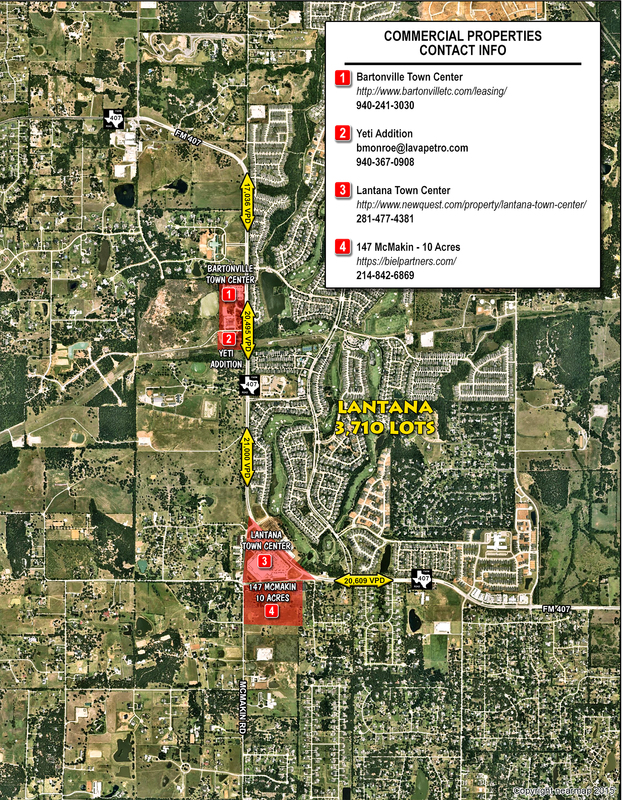 Bartonville Town Center, Lantana Town Center, and Bartonville Aerial Map. Click on the image to open the brochure.